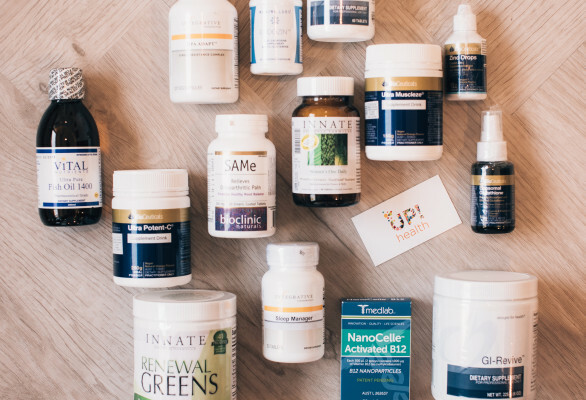 Here at Up!health, we have the utmost belief in every single nutritional supplement that we stock. Every product has been painstakingly researched before it reaches our shelves, and is specifically selected with our patients’ needs in mind. Our ultimate priority is the quality of the products that we stock, and their health benefits – this means that we only ever approve items that we would be happy to take ourselves and recommend to our families! Most of the supplements in stock are practitioner-grade nutraceuticals, delivering you the most effective formula. For our current stock list, please email us.